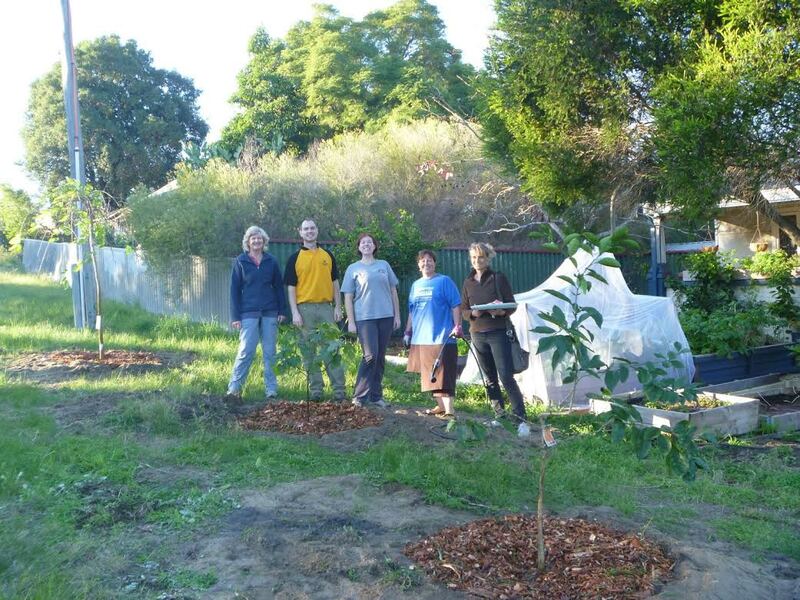 Last Saturday our verge gardening group moved some fruit trees from Kim’s shady backyard to her sunny verge. 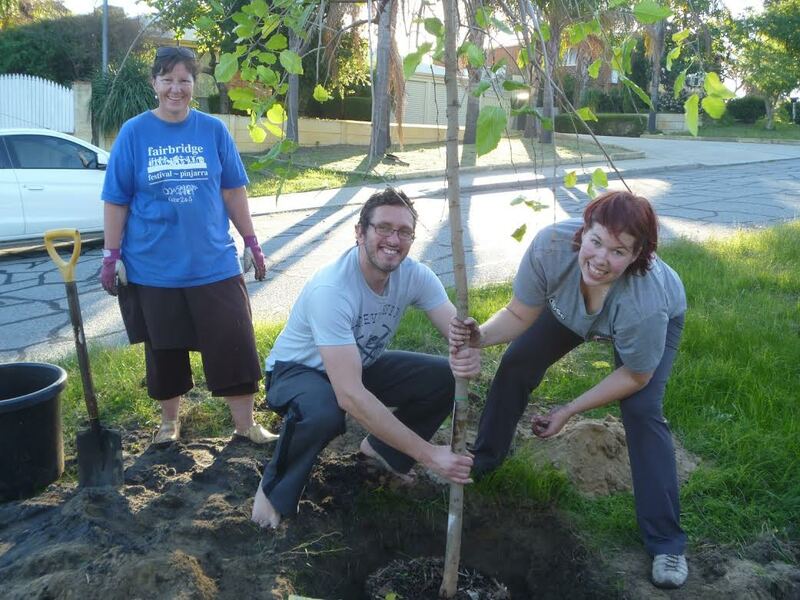 We dug some huge holes, filled them with all sorts of wonderful compost and poo and then planted a lemon tree, fig tree and a weeping mulberry. 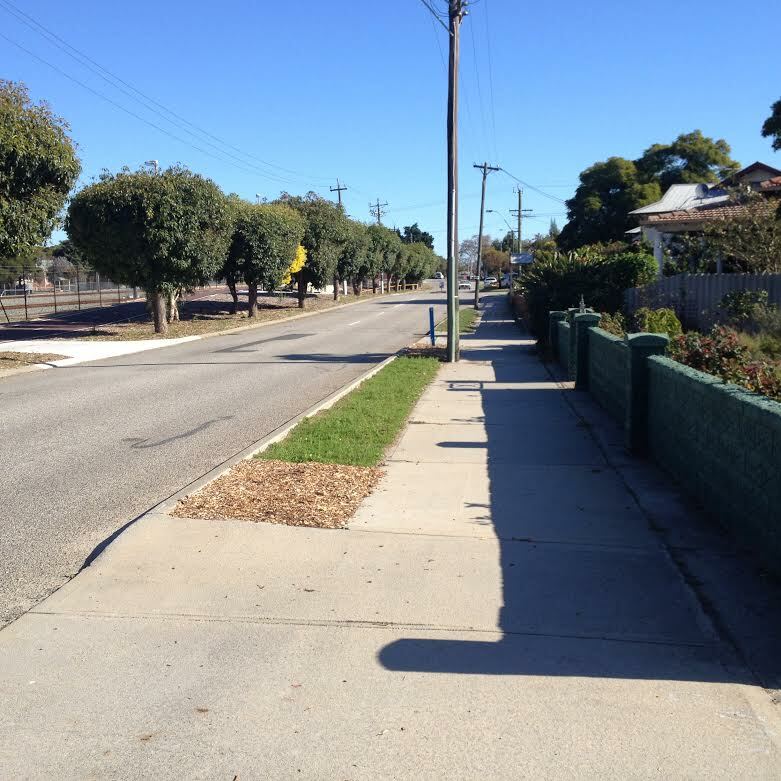 It was surprising what a facelift it gave to the streetscape! We were successful in our application to a Community Grants scheme from the new St John of God Hospital in Midland. As a result we are able to call in some experts to guide our gardening projects. 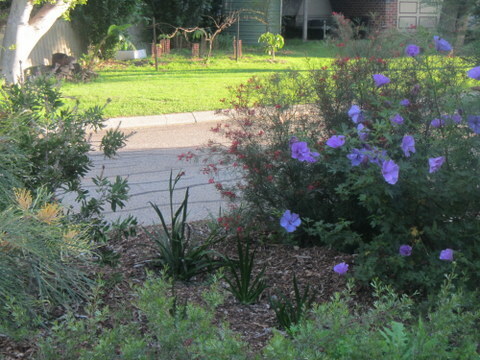 On Saturday July 11th, we have James McDonald coming to Emily’s verge to get us started on her vege patch. For those who want to grow natives, on Saturday July 25th we have two Master Gardeners from Kings Park coming to teach us all the secrets of growing natives right here in the Guildford/Bassendean area. Edna Darge will talk about species selection and Len Burton will discuss soils. Both these workshops are free, however we do need to know if you are coming. Please contact Pam on 93782523 or email pamela.riordan@gmail.com to obtain the address for the workshops. Both will be in Guildford. 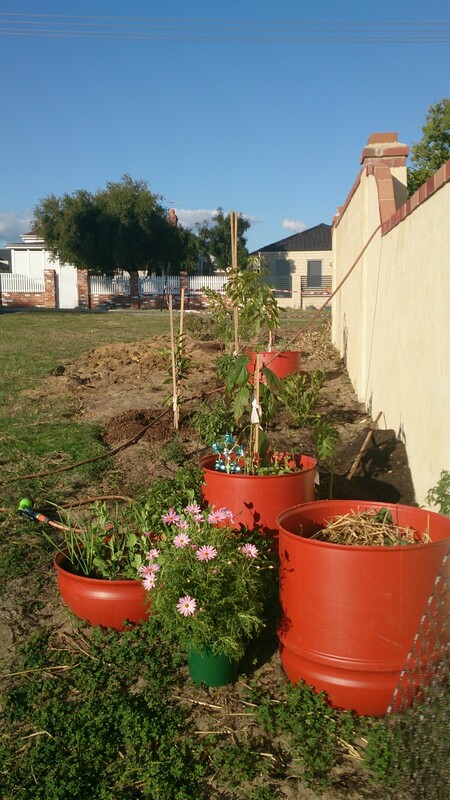 This entry was posted in Environment, Flora & Fauna, Food, Gardening, Verge Gardening and tagged DIY gardening, Growing food, sustainable food production, Veggies. Bookmark the permalink. Inspiring group…taking underutilized urban spaces and growing food for free…I wonder if its a coincidence I spent 2 years living in WA? Must be something in the air!